Mayo Clinic is excited about the national focus on individualized medicine and what the future holds. More than half ($130 million) of the total $215 million budget request, put forth by President Obama's Precision Medicine Initiative, is for a national biobanking initiative that draws on existing collections across the country. Mayo Clinic has among the country’s largest collections through the Mayo Clinic Biobank and the Biorepositories Program. Mayo Clinic and the Mayo Clinic Center for Individualized Medicine have made a significant commitment to building a scalable biorepository infrastructure, which includes multiple specimen processing laboratories and centralized storage. One of these collections is the Mayo Clinic Biobank, a collection of blood samples and health information donated by Mayo Clinic patients. The Biobank collects samples and health information from patients and other volunteers, regardless of health history. The Biobank was established at Mayo Clinic's campus in Rochester, Minn., and recruitment began in April 2009. Since then, the Biobank has expanded to Mayo Clinic's campuses in Jacksonville, Fla. and Scottsdale, Ariz., in addition to the Mayo Clinic Health System. 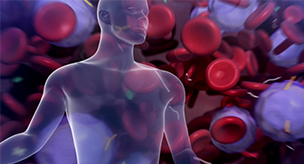 The Biobank aims to enroll 50,000 Mayo Clinic patients by 2016 to support a wide array of health-related research studies at Mayo Clinic and other institutions. Steve Thibodeau, David F. and Margaret T. Grohne Director, Biorepositories Program facts about the Mayo Clinic Biobank.